Since WhatsApp got bought by Facebook in 2014, its co-founders have taken two very different paths. Jan Koum stayed on to serve as the company’s CEO, while Brian Acton left after a few years to head up the Signal Foundation, an organization that competes with WhatsApp and Facebook thanks to its own encrypted messaging app. 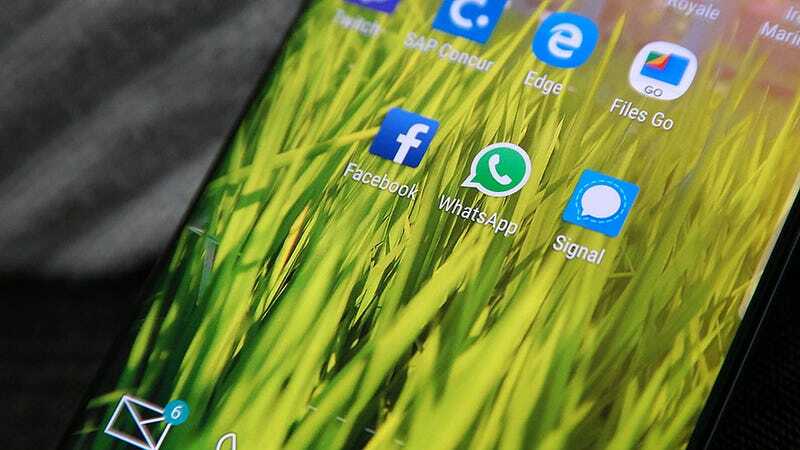 However, despite the sale of WhatsApp making Acton a billionaire, it seems he isn’t Facebook’s biggest fan; a sentiment that only became more apparent when late last night, Acton told his followers on Twitter that it was time to delete Facebook. The tweet comes in the midst of massive investigations into Facebook and Cambridge Analytica about potentially misused data scraped from millions of Facebook users, and how that information may have been used to influence the 2016 US presidential election. While Acton certainly isn’t the first person to suggest people delete Facebook from their lives, his tweet seems like a strong statement for someone who once applied for a job at Facebook years before creating WhatsApp, and who has only made a total of 74 tweets in the nine years since he created his account. Last year, Facebook’s first president Sean Parker and former executive Chamath Palihapitiya both expressed serious misgivings about Facebook and how it messes with people’s psychological and social structures. Additionally, since the whole Cambridge Analytica scandal was revealed, Facebook’s stocked has dropped by more than seven percent. But will this be enough to serious injure or take down Facebook’s massive online empire? Who knows, it’s still too early to tell.